I hate using chemically enhanced products and I blame my mother. As a chemist she has been educating me on the harmful side-effects of many ingredients in name-brand cosmetics. Titanium Dioxide, Aluminum Dioxide, Parabens, etc. Sure, I can’t escape them all but I try to. I mostly use herbal and natural products on my body, hair, and face. Name brand deodorants have an active ingredient called Aluminum Chlorohydrate,which has been tested and proven to cause cancer and bring on the on-set of Alzheimer’s. Why risk it? I use Crystal Essence all-natural, roll-on Lavender and White-tea deodorant. It’s paraben and aluminum free. It leaves ‘no sticky’ feeling, and lasts late into the night. I always had a problem with underarm sweat when I was an athlete in high school. This one actually stops body odor from occurring! 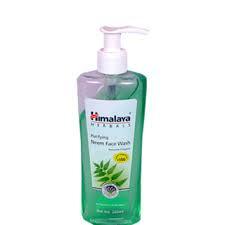 The Himalaya Herbals Face Wash is formulated with Neem oil and turmeric. Neem oil helps dry skin and relives itchiness and irritation. Neem is also known for its “antimicrobial properties,” which helps treats redness and wounds, and prevents any infection. It gets rid of acne-causing bacteria. The Turmeric in the face wash helps fade blemishes and evens your skin tone. My skin feels so radiant and soft after I use this in the morning and at night. Rosemary oil is known for hair care. I first heard about its benefits from Saklian’s Coterie in Kashmir, and they’re amazing. I have been putting 2-3 drops of Rosemary oil in my hair after washing it and almost every other day. It’s helped maintain my hair’s nutrients and has helped it grow. Back in 2013 my hair was thinning incredibly and I changed up my routine using this oil and my hair is growing healthy and thicker (also use it with the shampoo listed below). I found out Rosemary oil is also used for indigestion, constipation, and bloating etc. It also has antiseptic qualities help eliminate eczema, dermatitis, oily skin, and acne. 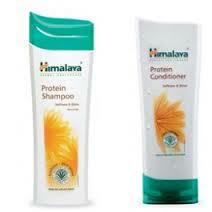 Himalaya Herbals Protein Shampoo and Conditioner (separate bottles) is a gentle daily shampoo for oily to normal hair. Himalaya Herbal Healthcare products contain Ayurvedic ingredients. This shampoo has helped my hair strength and lessen hair fall. It can be bought in different formulas from chickpea or coconut etc. It has really helped repair hair damage. It’s safe to use on artificially colored or permed hair and doesn’t contain parabens, silicone, SLES, synthetic colors, artificial foaming agents. I love the effect it has on my skin. I feel like my skin cells renew automatic and all the dirt has escaped. The St. Ives brand has, 100% Natural Exfoliants, it is paraben and oil Free, contains 2% salicylic acid to defeat acne, and it’s hypoallergenic. If you’re not a fan of razor burn and hate the pain of waxing, use Veet Naturals Hair Removal Cream for Normal-Dry Skin, enriched with Papaya extract. It gently removes my hair (which is super thick) close it to the root. The box says to leave it on for 3-6 minutes but depending on the amount of hair and its thickness I’d leave it on for longer. I usually hit the 10-15 min mark. My lips get chapped in dry in the winter and when it’s super humid. I use Eos Lip Balm religiously. It feels awesome on my lip and high chance your boyfriend will love it too if you know what I mean. It’s 99% natural and contains Shea Butter and vitamins C& E, it’s Petrolatum and Paraben, Gluten, and Phthalate free. 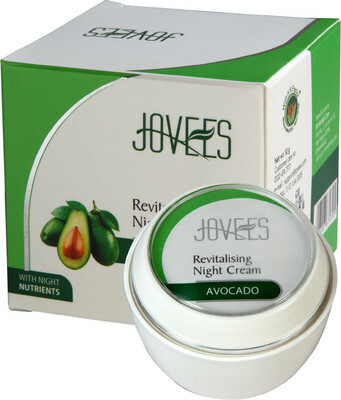 Jovees Avocado Night Cream helps in rebuilding damaged cells. “It increases oxygenation to the skin, improves nutrient uptake, revitalizes facial skin and increases resilience for a more toned skin in the morning.” I’ve used it for a month and my skin feels smoother, firmer, and silkier. Its natural ingredients include Avocado, Rosemary, Sunflower and Jojoba Extract. I absolutely love this non-greasy moisturizing cream and I can’t leave the door with out it. It’s great because it has sunscreen added in and maintains skin moisture for a long time. It’s made from Extracts of Cherry, Plum and Alpha Hydroxile fruit acids. I’ve been using it for a about a month now, too and my skin feels young and fresh. 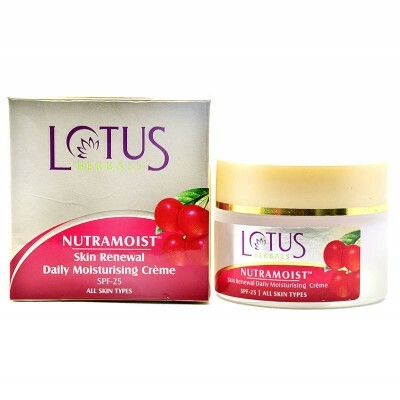 I believe both the Jovees and Lotus are a good combo for night and day cream. It makes me look awake even after getting only three hours of sleep. If you bleach your hair and skin, use the OxyGlow Herbal brand. It’s sensitive on your skin and leaves out harsh irritation. Most of us have ‘stretchies! I’ve been putting up with them for years now due to my abnormal growth spurt! I recently started using all natural cocoa butter and it helps! At least two-three times a week, I oil my hair with pure Almond oil before bedtime and the next morning wash it out. Oil does wonders for your hair. My hair routine is Almond oil, Himalaya Herbals, 2-3 dashes Rosemary oil! It works for me and I hope it does wonders for you, too! PS: I am aware my eyebrow game isn’t on fleek. It’s the result of walking into a door and having to shave one eyebrow off to get stitches.